an instrument for examining the interior of the eye. direct ophthalmoscope one that produces an upright, or unreversed, image of approximately 15 times magnification. The direct ophthalmoscope is used to inspect the fundus of the eye, which is the back portion of the interior eyeball. Examination is best carried out in a darkened room. The examiner looks for changes in the color or pigment of the fundus, changes in the caliber and shape of retinal blood vessels, and any abnormalities in the macula lutea, the portion of the retina that receives and analyzes light only from the very center of the visual field. Macular degeneration and opacities of the lens can be seen through direct ophthalmoscopy. A, Inspection of the eye with a direct ophthalmoscope. B, Structures that are visualized. From Polaski and Tatro, 1996.
indirect ophthalmoscope one that produces an inverted, or reversed, direct image of two to five times magnification. An indirect ophthalmoscope provides a stronger light source, a specially designed objective lens, and opportunity for stereoscopic inspection of the interior of the eyeball. It is invaluable for diagnosis and treatment of retinal tears, holes, and detachments. The pupils must be fully dilated for satisfactory indirect ophthalmoscopy. scanning laser ophthalmoscope (SLO) an instrument for retinal imaging in which light from a low-power laser beam that scans the retina is reflected back to a sensor; the light detected by the sensor is used to create a full-color composite digital image. abbreviation for scanning laser ophthalmoscope. 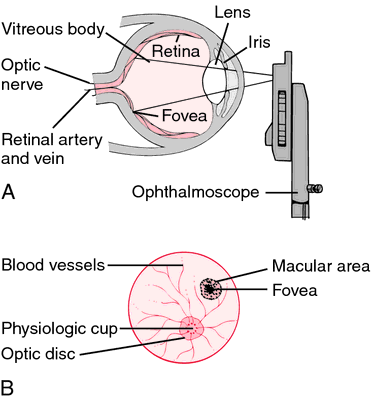 A laser-powered ophthalmoscope for producing images of the choroid or retinal layers of the eye. Enter Phil Stockwell, general manager at SLO, whose blend of printing, graphic design and wine label experience makes him an invaluable asset. Both traditional and holistic practitioners agree on the core treatment protocol for SLO. For the first scenario/dilemma, SLE students demonstrated significantly higher ethical capacities than did both the SLO and CON students on all three ethical orientation indices. The gas chromatograms of the plasma samples from a patient in the diseased control group and from two patients with SLO all showed peaks for the internal standard, cholesterol, 8-DHC, and 7-DHC (Fig. To open Taste, SLO Vintners applied for a bar/tavern license (ABC License 42), which means members sell wines to Taste. They are the trusted connection to the communities who know their SLOs. We are pleased to receive 510(k) clearance for the OPKO Spectral OCT SLO Combination Imaging System," said Jane H.
Harriet left for Australia on July 21 to work in the SLO at Monash University in Melbourne. Wine grapes are SLO County's most valuable crop, with a value of $118 million in 2002. Local business executive, Shelley Lazar, chief executive of SLO VIP Services, marshaled her office staff to help wrap holiday gifts today for more than 250 children participating in the Tenderloin Neighborhood Development Corporation's "Tenderloin After School Program" (TASP). As the other services fill their SLO positions and that information becomes available, we will include it in our next listing.